Dani James’ career-changing moment as a young associate was a realization of how much she enjoyed the storytelling aspect of a financial investigation. It was then that she decided to join the U.S. Attorney’s Office for the Southern District of New York in 1999, where over a four-year stint she accumulated the type of experience that prepared her for joining Kramer Levin Naftalis & Frankel. The firm’s elite White Collar Defense and Investigations practice group is nationally regarded for its success in guiding individuals and companies through their most sensitive and problematic criminal and civil matters. James joined the firm in 2007 after working as a visiting professor at Benjamin N. Cardozo School of Law. 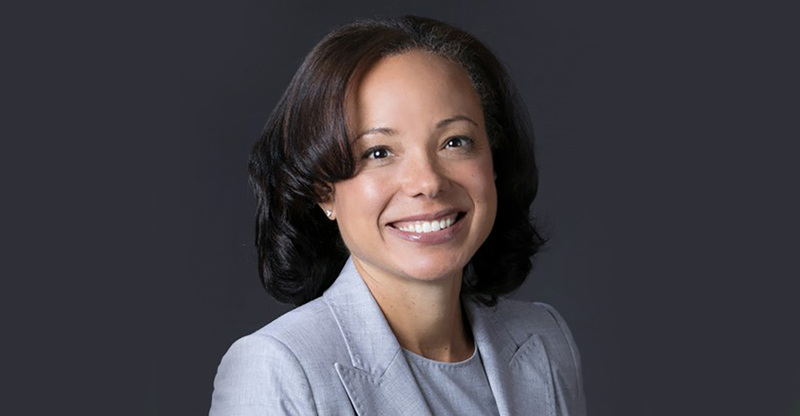 Earlier this year, in March, she became co-chair of the white-collar practice. Lawdragon: Congratulations on your selection as co-chair of the practice. What do you think sets the team apart from competitors? Dani James: At Kramer Levin, we have a talented group of trial lawyers with decades of experience handling high-profile civil and criminal white-collar cases in situations where a company’s survival or an executive’s reputation or freedom is on the line. People know we try cases, which is a real advantage for us when it comes to resolving matters favorably, whether in or out of court. We are also passionate about our work – which helps our clients feel comfortable trusting us to handle critical matters. LD: Are you seeing any trends within the practice in terms of the types of problems that companies or individuals are bringing to the team? Have you seen any changes in the white-collar practice based on the change in administrations? DJ: While the nature of our cases changes over time with each new wave of investigations and prosecutions — LIBOR, FX, RMBS, sanctions, etc. — many of our clients continue to be senior executives or directors caught up in high-profile and confidential investigations. We often represent individuals who are at the center of the storm because we are known to be tenacious advocates, because we have the right temperament to gain their trust, and because we have a reputation for trying cases and credibility with the government and regulators. We haven’t yet seen any significant changes in the white-collar practice based on the change in administrations. Pending matters are still working their way through the pipeline. The Department of Justice recently announced that it is disbanding the Financial Fraud Task Force, which was created under President Obama, and establishing the Task Force on Market Integrity and Consumer Fraud, a multi-agency effort, the purpose of which is to deter fraud, particularly as it relates to health care, cyberspace and digital currency. It’s too soon to know how that and the DOJ’s new policy against “piling on” corporations will play out. But we expect a continued focus on prosecuting individuals. LD: Why did you leave private practice and become a federal prosecutor? DJ: One night, I was writing a memo about the legal implications of mandatory class-action lawsuits. I suddenly realized that, while I found the work intellectually interesting, I wasn’t emotionally connected to it in any way. I decided to try to figure out where my passion lay. I started reflecting on my past work experiences, and my mind immediately went to an internal investigation that I was involved in, which related to accounting irregularities at a consumer finance concern. I was taken by the “whodunit” aspect of that case and thoroughly enjoyed the storytelling involved in putting together a final report of the investigation. It occurred to me that I could do that kind of work full time as a prosecutor. LD: What was the experience like at first – what was challenging about the transition from being a law firm associate to prosecuting cases in a setting like the Southern District? DJ: I left my firm after the end of my second year as an associate. I went from being the third or fourth person on a team to leading them. Prosecutors have a lot of power and responsibility in directing investigations and making charging decisions. While there is a supervisory structure, the individual line assistant wields a great deal of influence in the process. I was humbled by that power and responsibility but also energized. It was exciting to be in court on a regular basis, and there is no substitute for that experience in learning how to deal with judges, adversaries, juries and the surprises that invariably come up at trial, despite meticulous preparation. LD: Did you develop a certain style as a trial lawyer with your experience there and how would you describe that style? With even more experience now, how has your style changed over the years? DJ: The best trial lawyers I’ve seen are those who are exactly themselves in court. I used to say about one of my trial partners from the U.S. Attorney’s Office that when he was before a jury, it was like he was walking around in socks in his living room telling a story – he was completely natural. And so that’s the approach I take. Obviously, trials take meticulous preparation. You have to master every fact so you can marshal them in support of your position and also avoid potential landmines. But you can’t get swallowed by them. You have to find the factual narrative and the legal path to victory for the case. And you have to think about how everything you do in the case – from the pretrial motions you file, the cross-examinations you conduct, and the witnesses you call – advances that cause. But once you’re in front of the jury, it has to look and feel easy. You have to keep it simple, tell your story, and try to connect with the jury on a human level. LD: Can you describe your style as a negotiator before a case has been brought by a government agency – is it different on the other side of the table? DJ: When dealing with the government pre-indictment or with the SEC during an investigation before any charging decision is made, I employ the same straight-shooting, no-nonsense approach that I use in the courtroom. While I’m a tenacious and creative advocate, I don’t bluff for the sake of getting leverage and never overstate my position. I think that affords me added credibility with regulators and prosecutors that can foster a more productive dialogue. LD: Can you talk a bit about your transition from the U.S Attorney’s Office back to private practice. What led you to Kramer Levin after a time at Cardozo? DJ: While I enjoyed my time teaching – especially interacting with students and the performative aspects of lecturing – I realized that I wasn’t interested in legal scholarship. I missed solving problems for real people in real time. I’m a practitioner, not a legal scholar. I wanted to roll up my sleeves and get back in the game. 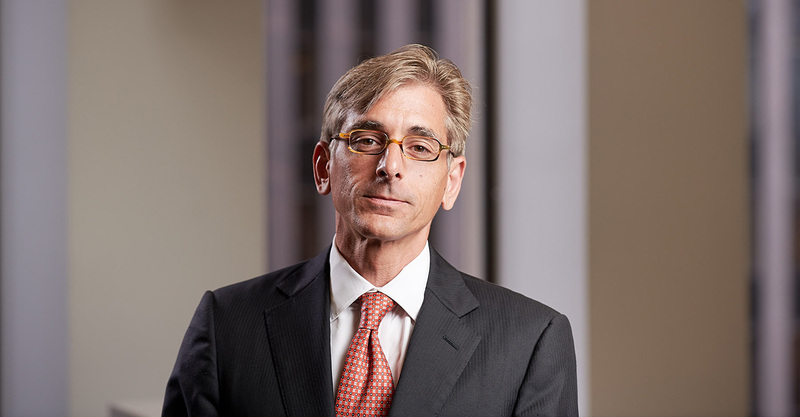 Having learned where my passion lay, I came to Kramer Levin because I wanted to be sure I could spend the majority – if not all – of my time on white-collar defense and investigations, and no firm has a deeper or more talented bench than Kramer Levin, or is involved in more interesting and high-profile matters. LD: Many former federal prosecutors join white-collar practices. What does it to take to successfully transition to private practice and thrive in a business setting? Can you identify what was the most difficult part of that process, whether in the early days at Kramer Levin or after? DJ: The Southern District of New York is one of the most respected and active federal district courts in the country. During my time there, I was surrounded by extremely talented and dedicated lawyers in an environment that fostered collaboration. The same holds true at Kramer Levin, where I am fortunate enough to work with and learn alongside great mentors like Barry Berke and Gary Nafatalis as well as my White Collar Defense and Investigations Co-Chair, Paul Schoeman. I believe that my transition into private practice was made easier by my time as a former federal prosecutor, where I worked on a wide range of cases, as well as by the collaborative nature of the practice at Kramer Levin. LD: Law firm partnerships and leadership positions are more diverse now than when you started, but they are still heavily white-male-dominated. Have you developed any conclusions about what it takes to make the upper echelon of the profession more diverse? DJ: Unfortunately, no. Diversifying the upper echelons of the profession remains a daunting challenge. While I think law firms are doing a better job of hiring women and people of color in their early years, there is still a lot of work to do to ensure the professional growth, retention and promotion of diverse associates. But I am optimistic. When I was leaving Cardozo, I reached out to the women with whom I had worked in the USAO to see how their careers had evolved. To my surprise, only three were partners at major law firms. The rest had gone in-house, remained in government, or left the profession entirely. As I look around at the growing number of women and people of color in the white-collar community, I can see that things are changing slowly, but surely.